The inspiration for Blessed Nourishment exploded upon Dr Lachman’s soul as he visited the incredible land of Israel-a place no one can experience without being changed. Indeed, Dr Lachman found that the Lion of Judah is not silent, instead the vibrant energy of the Promised Land roars with divine creativity. He believes God blessed Israel with an agricultural richness that produces dynamic whole foods, setting the nation apart from others as a land that is truly flowing with milk and honey. Deuteronomy calls Israel a good land-a land of wheat, barley, vines, figs, pomegranates, olives and honey-in which you may eat bread without scarcity and lack nothing. In Blessed Nourishment you will discover the therapeutic impact of these fruits of the Holy Land. 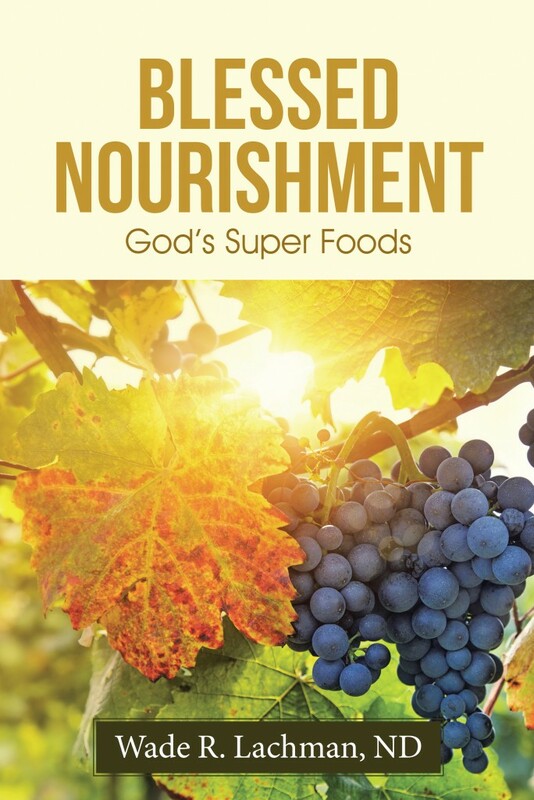 While embracing the miraculous, Blessed Nourishment is intended to be a practical book of biblical health. If you are suffering health issues, this book may just reveal practical biblical foods that might nourish and support your healing process. Blessed Nourishment is written in an easy-to-read and flowing style. It’s filled with fun stories from Dr Lachman’s life and interesting profiles of Biblical foods. Calcium has long been known as vital for strong bones. Our liquid Calcium & Magnesium Complete contains the vital nutrients that the body needs to properly assimilate calcium plus a blend of the best forms of calcium. Calcium is a difficult supplement for many people. Tablets are often weak, poor forms (such as carbonate), or do not provide the necessary supporting minerals. We also added Boron, recommended by many for building bone density. Intended for use by everyone, specifically those who need to increase calcium absorption. Serving size 1 oz. Recommended Use: 1/2 oz. twice daily (1 oz. = 2 tablespoons) Shake well. Refrigerate after opening. Some settling is normal. Protect from heat, light, & moisture. As with any natural product, color and taste may vary. † Based on a 2000 calorie diet * Daily Value Not Established100% VEGETARIANMADE IN THE USACONTAINS NO SUGAR, STARCH, SALT, WHEAT, GLUTEN, YEAST, MILK, OR SOY DERIVATIVESTHESE STATEMENTS HAVE NOT BEEN EVALUATED BY THE FDA. 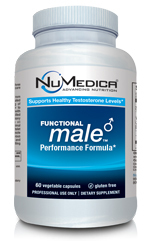 THIS PRODUCT IS A DIETARY SUPPLEMENT AND IS NOT INTENDED TO DIAGNOSE, TREAT , CURE, OR PREVENT ANY DISEASE. For integration of Cerebral Medulla, Heart and Matrix. The Cerebral Medulla Hologram (CMH) Infoceutical has been developed to resolve emotional shock conflicts in the Cerebral Medular holographic field. * Asthma, emotional shock and stenosis as a reaction to shock. Emotions form an information network within the body system and strong emotions that continually ‘replay’ themselves (emotional tape loops) may become imprinted into the body structure. These imprinted emotions are draining on the body and may play a significant part in many serious diseases and also sleep loss. The emotional part of the brain works quite slowly, and must be given frequent time out to simply process and reposition data into an organised field. The Chill Infoceutical is designed to have a mental calming effect by assisting the cerebral cortex to process backlogs of emotional and sensory data due to overload and emotional tape loops. The Chill Infoceutical has been found to be helpful where a person’s abilities have become compromised due to constant stress. This Star has proved particularly useful for emotional ‘survival’ and communicates with the desirable mental qualities: Inner peace, happiness, openness, problem solving ability, relaxation after over work and emotional stress due to substance abuse. Taken at night, it may be useful for insomnia caused by too many thoughts. For highly charged emotional states, higher doses may be necessary. A side effect of Chill may be that ideas and problems come to the surface as the client starts to solve problems of an emotional nature. Because this is not a sedative Chill can be taken at any time of the day to achieve a measure of relaxation. The Chill Infoceutical and other infoceuticals are most effective when used in conjunction with the NES Health bioenergetic wellness system and working with a qualified provider on your targeted dietary and lifestyle program. 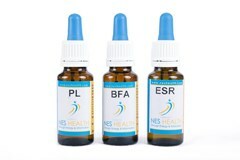 Post Falls Naturopathic Clinic uses the NES Health bioenergetic wellness system because they are the leader in bioenergetics: the study, detection, and correction of energy in living systems. They spent decades mapping out the energy and communication systems of the body. Collectively, these are called the human body-field, which acts as a control system for the body’s physical activity. When body’s energy and communication field is underpowered or distorted, it’s unable to run the body in an optimal way and the body’s cells and systems may begin to fail. Symptoms often begin with simply feeling tired, but they can continue into just about any known health problem. When we improve function of the body-field, and we combine this with good nutrition and lifestyle choices, the body’s incredible healing system can take over and begin restoring the body to health. At Post Falls Naturopathic Clinic, we use the NES Health scan (both remote and in office) and MiHealth device to assess and correct the body’s energy and communication systems. Doing this improves the body’s own ability to heal and stay healthy. We combine the NES Health bioenergetic system scans and infoceuticals with a dietary and lifestyle program. If you are interested in obtaining a NES Health scan and creating a targeted program for your health, please leave us a comment or contact our office. We would love to assist you in your journey towards optimal health! ES 10 Infoceutical has been designed to unblock energy fields compromised by stress and visual issues and spport relief from stress caused by exposure to a sight that provokes strong emotional responses. Post Traumatic Stress Disorder may come under this.. This Energetic Star is bioenergetically associated with two principal issues: stress and interpretation of visual patterns. If you cannot see things well enough, your survival is threatened. According to bioenergetics, stress and the inability to take in visual information are related, and they correlate to functional problems with the visual cortex and thalamus. From the bioenergetic perspective, stress also may be defined as the failure of the body to create a coherent Big Body Wave. 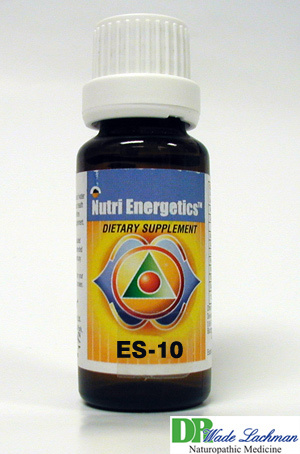 ES 10 Infoceutical has been designed to unblock energy fields compromised by stress and visual issues. ES 10 Infoceutical may bioenergetically support relief from stress caused by exposure to a sight that provokes strong emotional responses. Post Traumatic Stress Disorder may come under this category. ES 10 Infoceutical has been designed to bioenergetically support correct visual perception and aid those with learning difficulties who need to process visual information more quickly. The following areas of the brain are bioenergetically linked with this Star: optic cortex, optic thalamus, motor neurons (but not motor cortex) and the optic interpretation center of cortex. ES 8 Infoceutical is designed to have a mental calming effect by bioenergetically assisting the cerebral cortex to process backlogs of emotional and sensory data. Backlogs may result from sensory or emotional overload and/or from emotional tape loops. Emotions form a bioenergetic information network within the body system, and particularly strong emotions that continually ‘replay’ themselves (emotional tape loops) may become imprinted into the body structure. From a bioenergetic perspective, these imprinted emotions are draining on the body and may play a significant role in pathology. Because the emotional part of the brain works more slowly than other aspects of the brain, it must be given frequent ‘time outs’ to process and reposition data into an organized field. ES 8 Infoceutical may also bioenergetically link to emotional survival skills, through its support of desirable mental qualities such as inner peace, happiness, and openness; through its link to problem-solving skills, ability to relax after overwork, and ability to handle emotional stress due to substance abuse. Generally, this Infoceutical may bioenergetically support a person whose abilities have become compromised due to constant stress. When clients appear to be in a highly charged emotional state, a higher number of drops may be appropriate. Some clients report that as they take the ES 8 Infoceutical, ideas, problems and thoughts that were unconscious rise to awareness and they are better able to deal with issues and solve problems of an emotional nature. ES 8 Infoceutical can be taken at any time of the day and correlates to a feeling of increased relaxation. However, when taken in the evening, this Infoceutical may bioenergetically help relieve insomnia that is caused by overactive or ‘runaway’ thoughts. This Energetic Star is bioenergetically associated with two principal issues: traumatic shock and blocks in the hearing process resulting in slow childhood development. According to NES theory, traumatic shock may cause temporary collapse of the body-field’s information structure. If traumatic shock is deeply imprinted in the body cells, it may significantly affect a person’s abilities. Generally speaking, the most pronounced manifestation of shock is often the disconnection between hearing and speech (such as when people report that they were ‘shocked speechless’) Correction of imprinted shock is a high priority for the body. ES 9 Infoceutical has been designed to bioenergetically correct the integrity to the body’s information structure by unblocking significant traumatic memories. ES 9 Infoceutical has been designed to bioenergetically support auditory perception and interpretation, including in learning difficulties due to auditory issues. This Energetic Star is bioenergetically linked to many types of physical shocks, including birth trauma, electrical, insulin, chemical, sexual, toxic and surgical trauma, as well as emotional and other types of non-physical shocks, such as financial. One of the features of shock is that it often involves the interruption of the low-frequency sound waves of the brain. Therefore, from a bioenergetic perspective, chronic exposure to chaotic sound may cause shock on its own. The use of this Infoceutical might complement the use of sound therapy for a variety of mental troubles. ESR is correlated bioenergetically with increased processing in the medulla, and thus may help resolve issues by helping to organize incoming data into coherent patterns. The Emotional Stress Release (ESR) Infoceutical has been found to be helpful for relieving general day to day stress. Stress results when incoming data is not correctly processed into patterns. ESR has the effect of helping the medulla process data faster and thus resolves issues into correct patterns. ESR can be used as an aid when an Infoceutical program results in emotional “flair ups” or the person is feeling low during the healing process. When a person is “stressed” their ability to absorb food is compromised as is their ability to process thoughts. For this reason ESR has been found helpful in aiding nutrient absorption.